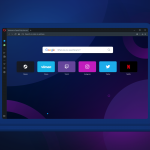 We have a small update to Opera 27 for you all today. We updated Chromium to 40.0.2214.111 and made some other under-the-hood improvements. Of note, we fixed a bug where some secure sites failed to load on Mac. We recommended this update for stability and better site compatibility. We have a rather short changelog for you this time. We’re busy working away on Opera 28 and 29. The changelog will be much longer when those get to the stable channel. So, if you’re a fan of changelogs, be patient. Big things are coming!